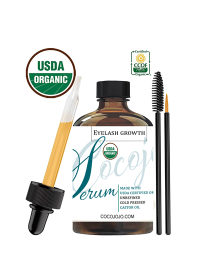 Cocojojo Organic Certified Glycerin is 100% pure and organic glycerin makes a great addition to skin care formulations for nourishing and hydrating skin and hair to enhance their appearance. Also known as glycerine or glycerol, our glycerin is pure organic glycerin derived from botanical sources. 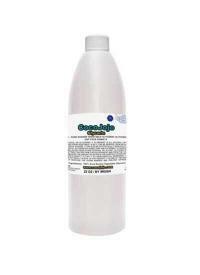 Organic natural glycerin helps maintain and balance the moisture content on skin and hair. Glycerin is a great humectant that attracts water to retain the hydration in the skin to improve the appearance of your skin by promoting supple, plump skin. This also helps improve the texture and tone of your skin by encouraging smooth skin. Pure organic glycerin is gentle and non-irritating to use, and all skin types are tolerant of glycerin. For beauty formulations and DIY projects, organic natural glycerin works well to improve the texture and hydrating ability of your product. Pure organic glycerin helps improve the look and texture of skin for a youthful appearance. Try our organic certified glycerin today! Also check out our entire line of certified organic products!